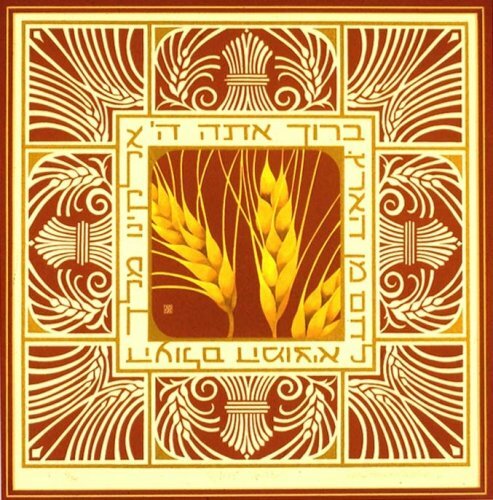 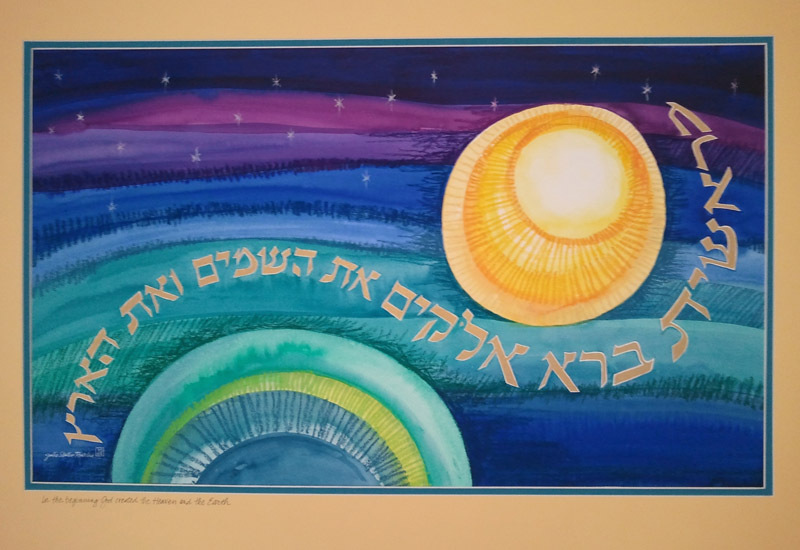 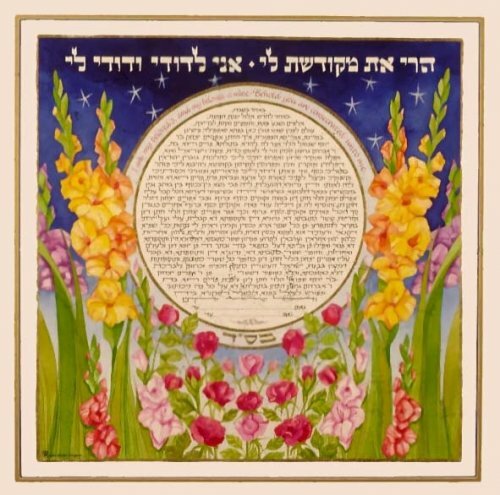 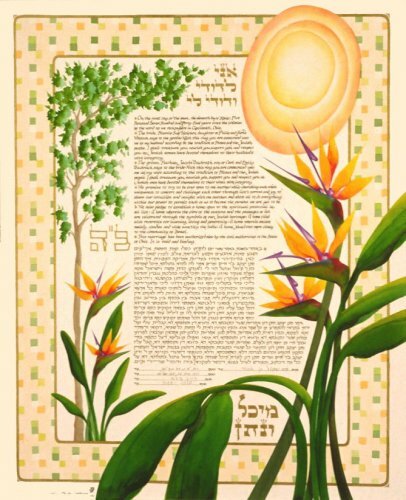 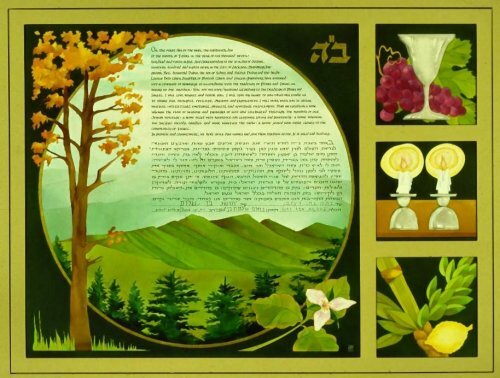 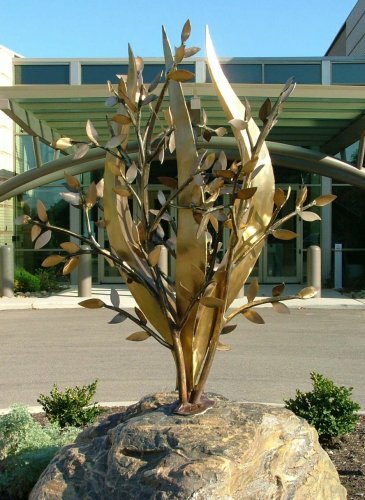 It was done as an anniversary Ketubah, commissioned by the couple themselves. 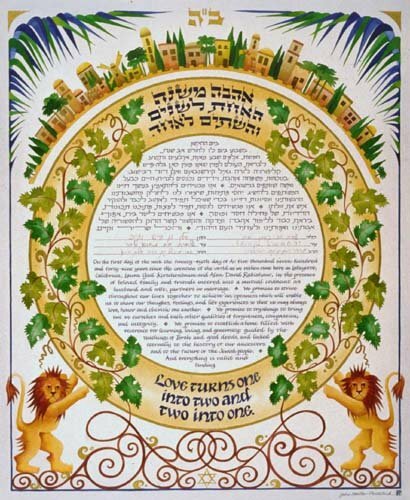 Because the Ketubah that was used and signed at their wedding ceremony was safely tucked away, they chose not to have this one signed. 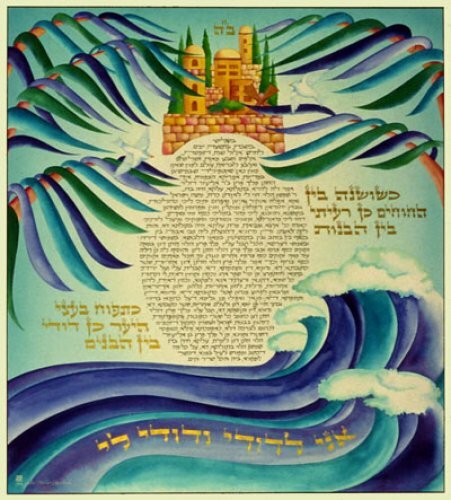 The enduring sentiment “I am my beloved’s and my beloved is mine” is done in gold lettering through the waves at the bottom.